Ranchi is one of those cities in India that have a very rich cultural history. Surrounded by lush greenery, superabundant with minerals, and an abode of tribes, the city is blessed by Mother Nature. With an exception to these, the city also has a modern touch of technology that has influenced the taste of the place. The rare combination of the authentic tribal culture, cosmopolitan atmosphere and the contemporary lifestyle of the megalopolis are what make this city so unique and distinctive. Ranchi welcomes all its visitors with a gift of rollicking fun and frolic. Let’s reconnoiter the amazing and entertaining water park of Ranchi. Weekends are always special. So, let these weekends be the most happening at the fun castle water park in Ranchi. Forget about all your worries and drop off all the stress at the other side of the boundary as you step with grandeur into this water world. 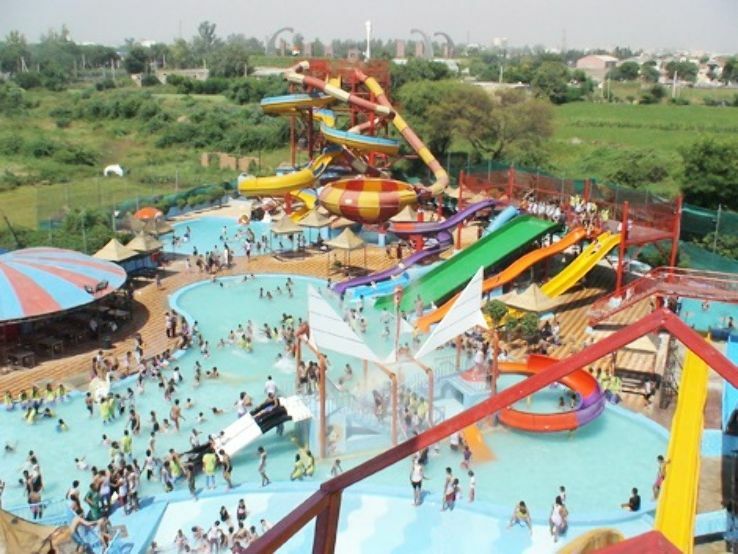 The water park in Ranchi is one of the most demanded places to be in, especially on the weekends and vacations. The place is extremely beautiful and the sparkling colorful theme will leave you bewildered. Start your tour at the outstanding, fun-filled water rides and body slides. There are numerous for everyone to explore. Slide, slip, or race to the pool is your choice to make. Shout out loud and louder as you glide from a great height at these slides. 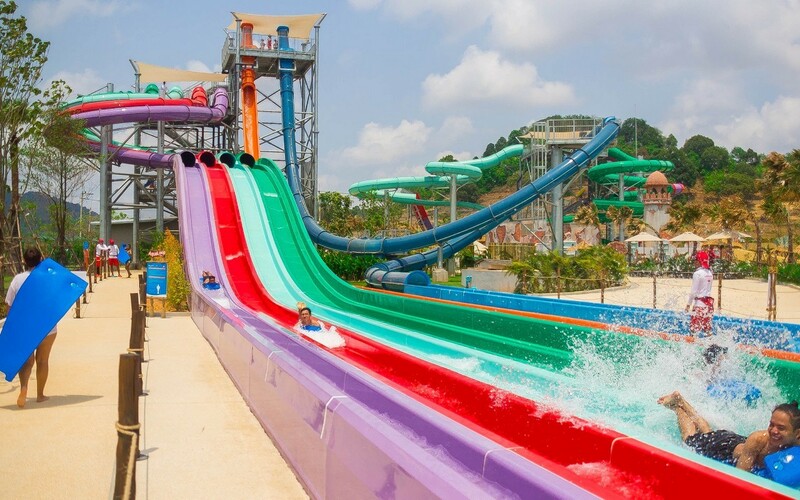 The multi-lane slides are absolutely amazing to try with your family and mainly with the kids. The funnel tunnel will get you grooving through its twists and turns as you slide with the water and watch out, the ride is long! Hold your breath for even more ravishing fun at the cyclone ride. The ride will definitely reel your head and drop you straight into the pool with a huge splash. The swimming pools are big, bigger than one can imagine. Satisfy your souls and fulfill your wish to relax in these. Dive, jump, splash and spill water as much as you want for this water park near Ranchi has no limits to the fun. The lazy river and wave pool will wipe out all the distress from you. Get the real feel of the seashore at the wave pool. There is a separate world for the kids to enjoy at the kids’ zone. The variety of dry and wet slides that the water amusement park offers is something you will never find anywhere else in the state. The elderly, on the other hand, can take a stroll around the park and enjoy the pleasing beauty of the park. Plus, the eateries add the final touch to the perfection of the water park. You can refill and quench your hunger at the restaurants that serve some mouth-watering dishes here. The ambiance of the water park at Ranchi is even better. Safety is the first priority at the water park; so you need not worry about any mishaps. The fun does not have a price marked on it in here; the water park is absolutely budget-friendly. Now, you might ask, is there any water park in Ranchi superior to this? The answer is “No”. So, why wait anymore to chillax this upcoming weekend? Come and experience the positivity that the water park brings to you. Are you looking for a water park in Ranchi that also offers stay? Then do drive to the WildWaadi Water Park to enjoy a complete vacation package full of fun and excitement. The water park is a perfect place for the fun lover to drop in. 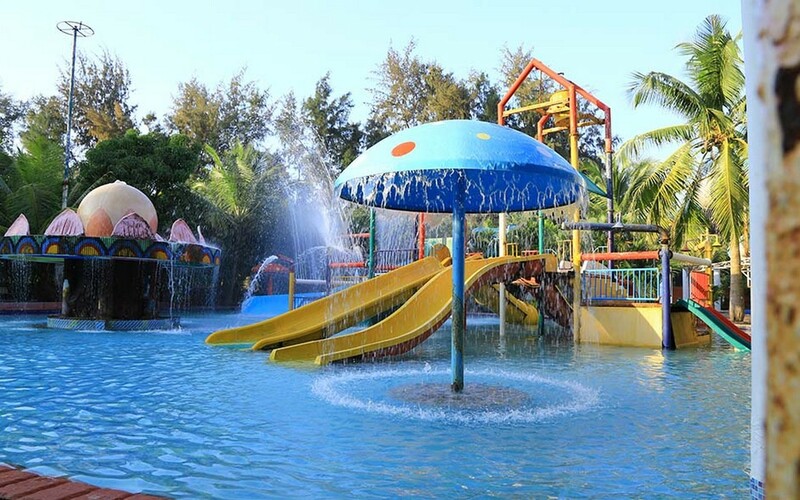 The ultimate destination for the holidaymakers, the park extends the fun of a different level. The entire world of wonders appears in front of you as you make an entry into the park. 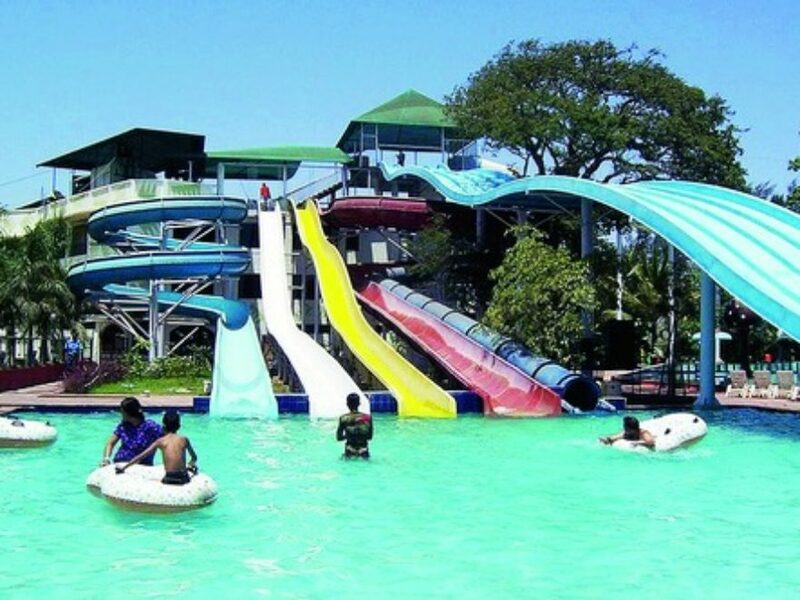 This water park in Ranchi is the best gift of nature for its lovers. To start with the rides, this new water amusement park has the cosmic range of rides and activities to try upon. The water slides droop down to the swimming pool from a great height. Bump into the pool with great speed at these body slides. The curvy loops on the way of the raft slide will definitely thrill you. The serpentine coils and twists of multilane slides are absolutely exhilarating. The water tunnel will give you a whopping experience. Splish and splash water all around at the enormous swimming pools. The rainbow waterfall will for sure bring you closer to nature. Enjoy a bath under the gushing waterfall. Are you pondering over the entertainment options for the kids? Don’t worry! The water amusement park in Ranchi has an entire zone divvied for the kiddies. Wait for it! The amusement section is yet to be discovered. There are brilliant options for gaming and fun activities. The art gallery is ought to be paid a visit. The WildWaadi nature theme park is exquisitely maintained. A brief stroll around the park premise will itself bring positivity into your mind, easing you up. The brasserie within the park boundary has an outstanding menu to look for. The luscious food leaves an impression quite good on your taste buds. Then why wait anymore to go to Mumbai to the Essel World water park when you have much more to explore fun in Ranchi? Rekindle your neutral life with colors of joy along with your ménage right at this water park in Ranchi, Jharkhand. Bring it this summer at the best water park in Ranchi and chillax the best possible way. Create some indescribable memories and cherish. A break from the mechanical and tedious life is a must and this special time demands to be the best. Ranchi has a wholesome range of options to restore the energy and fetch the lost essence back to your life. An ideal place to shop, stay, explore history, and have immense fun, Ranchi is an exemplary place to be in. This place deserves its name to be the next in your bucket list of the places for sojourn. And don’t forget, you just might get lucky to find M.S. Dhoni on the streets of Ranchi!